As a committed archive rat, I firmly believe that determined scrounging through original sources in multiple archives remains the gold standard for research in history. But even the most committed archive-based researchers must celebrate the increasing availability of digitalized primary sources on the web. Such materials are especially valuable for transnational and comparative histories, making available primary sources in distant places. I recently came across a new resource of potential interest to legal historians: digitalized anti-apartheid periodicals from South Africa. "For many years, scholars and activists have documented South Africa’s path to freedom. In 2001 the ANC-led South African government’s Road to Democracy project was established to collect oral and written sources on anti-apartheid campaigns. An important component of this effort is DISA. Funded by the U.S.-based Andrew W. Mellon Foundation, DISA brought together a group of South African historians and archivists to identify and retrieve relevant periodicals for public access. The DISA documents, many of them published in the 1970s and 1980s, are written primarily in English, but include some documents in Afrikaans, isiZulu, seTswana and siXhosa." For the rest, and access to the sources, go here. LDaniel W. Hamilton and Vicky Saker Woeste are running the Chicago Legal History Seminar, co-sponsored by Chicago-Kent Law School and the American Bar Foundation. The next speaker is Richard Helmholz, University of Chicago Law School, speaking on "Bonham's Case, Judicial Review and the Law of Nature," Tuesday, Dec. 12, at 4:00 p.m. Events are held at the Woods Conference Center at the American Bar Foundation, 750 N. Lake Shore Drive, 4th floor. In Chicago, of course. For a full schedule and contact information, go here. Pier Paolo Rivello has posted an interesting article abstract on SSRN, on The Prosecution of War Crimes Committed by Nazi Forces in Italy. The article is described as discussing particular war crimes prosecutions, and then "the article then deals with the reasons that led national courts to be relatively inactive for a long time in the prosecution of war crimes and other international crimes committed during the Second World War. The author concludes that in recent years, the tide has turned and several national jurisdictions have begun to prosecute alleged Nazi criminals." While the article itself is not downloadable, the SSRN post provides links to a symposium issue of the Oxford Journal of Criminal Justice, which will be helpful to anyone with an interest in war crimes prosecution. Click on the journal name, above, and follow links to vol. 3, no., 2, May 2005. The Boston Globe and Chronicle of Higher Ed are reporting that Gary Orfield and the Civil Rights Project, long based at Harvard University, are moving to UCLA. Even after the publication of Larry Kramer's The People Themselves, the early history of judicial review suffers from the unfortunate influence of Sylvia Snowiss's Judicial Review and the Law of the Constitution. Snowiss misread, among other things, James Iredell's foundational argument in 1786 for the inevitability and necessity of judicial review. Snowiss claimed that early understandings of judicial review conceptualized it not as a legal doctrine but as a doctrine of political and revolutionary resistance. In fact, however, Iredell argued for judicial review as a straightforward, legalistic consequence of popular sovereignty. In Iredell's influential account, the transition from the British theory of legislative sovereignty to the American theory of popular sovereignty also brought a shift in the relations between legislative and judicial power (the separation of powers). The central implication for the courts was that they could no longer hide behind legislative authority. The judges now had to ensure their own authority to act by reference to the people's constitutions, lest they themselves illegally coerce the citizenry. Moreover, there was nothing in such a theory to suggest deference to the legislature when doing constitutional interpretation (Snowiss's doubtful case rule). When such a rule was embraced by Iredell and others, it seems not to have been a corollary of Snowiss's theory of early judicial review at all. Rather, it appears to have been a pragmatic concession to those who continued to resist Iredell's lawyerly logic. Please note: there is an open comment feature on this blog. If you disagree/agree/have something to add re: a post, you can add a comment. A generation of lawyers who manned the legal barricades during the civil rights era are providing another important service in their golden years: they have been writing memoirs. One of the more prominent of these is Jack Greenberg’s Crusaders in the Courts. Lately I’ve been reading Fred Gray, Bus Ride to Justice, the memoir of a man who began his law practice in Tuskegee, Alabama in 1954, only to have Rosa Parks as one of his first clients. He would find himself in the Supreme Court for the first time to argue the voting rights case, Gomillion v. Lightfoot (1960), armed with the amazing map that changed the city boundaries of Tuskegee to carve African Americans out of the voting population of the city. An important new addition to this genre is Michael Meltsner, The Making of a Civil Rights Lawyer. Meltsner’s is very much an internal story of his immersion in the movement of his day, just on the cusp of taking the country by storm when he graduated from Yale Law School in 1960. And therein lie some interesting lessons. For example, he recounts of his visits with one liberal lawyer after another, while trying to decide what sort of work to pursue, when he was told over and over to work for a large firm or well-heeled client, make some money, and donate it to liberal causes. It was finally his professor Alexander Bickel who told him that he couldn’t pass up the opportunity to work for Thurgood Marshall at the NAACP Legal Defense Fund, saying plainly: "This is the job for you." 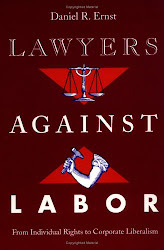 For the sociolegal scholar in a post-civil rights era (Schacter 1997), Michael Meltsner’s memoir of his professional life as a lawyer with the Legal Defense Fund is a layered treat. One part is romantic indulgence, a glimpse back into a time when civil rights had some progressive clout, when Jews and African Americans worked side by side for racial equality, and where a cause lawyer could experience "the teary, breathtaking, yearning, better-take-a-deep-breath feeling that comes from being there when people make the move of their lives and you identify with it, maybe even helped them make it" (p.76). A second part is a confirmation, clarification and sometime challenge to many of our central theories about cause lawyering on behalf of progressive social movements and the power that courts had and still have to remake our political worlds. A third part that I will leave to the delighted reader to explore personally, is the compelling literary engagement with a fascinating lawyer, and his professional, strategic and personal interactions with his teachers (Alexander Bickel stands out here), his clients (Muhammad Ali among them), his colleagues (Jack Greenberg, and Thurgood Marshall) and the familiar cases whose backgrounds and backlash he recounts (FURMAN, MCCLESKEY, GREGG, GRIGGS and BROWN). The overwhelming sense that the civil rights era has passed into a world of growing inequality and permanent African American disadvantage (Shapiro 2004), narrowing access to courts, conservative anti-rights initiatives designed to rollback affirmative action and gay rights (Keen and Goldberg 1998), and a Supreme Court with uncertain allegiance to its own civil rights precedents (among just a few) has led to a deep ambivalence if not full-blown skepticism about the power of law and the tactic of litigation to create enduring social change (Glendon 1991; Rosenberg 1991; Scheingold 1974). [We would add to this Klarman, 2004. ]...Although the sociolegal reader familiar with the empirical legal mobilization and cause lawyering literatures that Meltsner does not cite (McCann 1994; Sarat and Scheingold 2005, 2006; Scheingold and Sarat 2004) will already be prepared with the ambivalent sense that rights work as both resource and constraint, that the value of legal mobilization must be measured in many subtle ways, and that [*892] cause lawyers contribute to social change best with litigation as much as with politics (McCann and Silverstein 1998a), Meltsner’s optimism brings a new perspective. 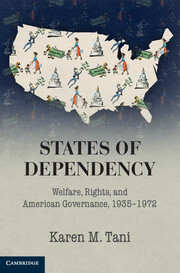 Indeed, if the growth of recent sociolegal theory has been impelled by a sense of post-civil rights skepticism about law, Meltsner illustrates that this knowledge is nothing new to LDF lawyers and that there are sophisticated ideas about the legal toolbox to learn from personal toil in the courts. The 2007 Law and Society Association annual meeting is in Berlin! It will be July 25-28. The theme for the meeting is Law and Society in the 21st Century: Transformations, Resistances, Futures. For complete information about submitting a proposal and attending the meeting, go here. There is even a blog for the meeting, although you need to register for it here. The deadline for proposals is January 12. Special note to graduate students, junior scholars and independent scholars: because of its policy of openness, the LSA is the easiest major scholarly meeting to get on the program. Many established legal historians (including yours truly) presented their first conference paper at an LSA meeting. So do not be dissuaded if you have not submitted a proposal before, or if you don't know anyone to organize a panel with. When I served on the Program Committee, we bent over backwards to find places for as many individual papers as we could. LSA is an especially good place for comparative constitutional law and other comparative topics, with many panels in past years. For legal historians interested in comparative, transnational or international legal history, even when held stateside, Law and Society is an exceptionally good venue for that sort of work. What is a War Time? The discussion in the New York Times yesterday about whether or not the conflict in Iraq should be called a "civil war" has parallels in the United States. Getting a handle on armed conflict is one thing. Coming to terms with the politics and consequences of what it shall be named is another. The awkwardness of what we call the time we're in emerged for a moment when Defense Secretary Donald Rumsfeld announced in the summer of 2005 that the war on terror would now be called the "global struggle against violent extremism," and the White House, while shooting that down, also contemplated a name change. See report. Scholarship on law and war tends to work with an assumption that the relationship between individual and government depends on what time it is (wartime or peacetime). It is often said that a pendulum swings between rights and security, depending on whether it is wartime or peacetime. So whether there is a war or not would seem to be of great importance. But at least since World War II, it's hard to see where the lines are between the beginnings and endings of "wars," and instead there is a consistently engaged national security state. For more on this, go here. Once we've moved into a conflict that we call a "war" but that is not contained in time and space by war's traditional boundaries, the difficulties are clear. I would love to see scholarship on naming wars in U.S. history, and the politics and consequences of calling a conflict a "war." There is of course, Jill Lepore's masterful The Name of War, and in the 20th century there are cases challenging the war in Vietnam. If you have an article/book/paper to share, please post a comment. New paper, The Firm as an Entity Before the Companies Acts, from Joshua Getzler and Michael Macnair, Faculty of Law, University of Oxford. Here's part of the abstract. For the rest, go here. 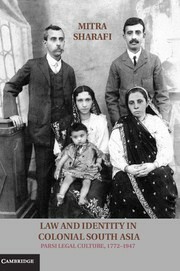 In this paper we suggest a counter-narrative to the orthodox picture of the development of company form in England....Our general thesis is that without the benefit of formalized organizational law the courts (with some help from legislative enactments) were able to construct a veil between investors and traders affording much of the benefit of the limited liability policy of later law. It was the Court of Chancery that led the way here, through fraud-based doctrines for reversing or presuming conveyances in order to protect creditors, and as an outgrowth of the body of doctrine, its regime for partnership insolvency. In other words, the basic concepts of contract, property and debt priorities could result in a workable organizational law - without formal corporate entities created by the state. Turns out, this feature was coming even sooner than I thought, thanks to Mark Graber! Mark has been reading Robin Einhorn, American Taxation, American Slavery (Univ. of Chicago Press, 2006). If you pick up a copy at Amazon, you can add to your cart Mark's newest book Dred Scott and the Problem of Constitutional Evil. Robin Einhorn's American Taxation, American Slavery makes a surprisingly good holiday gift and an even better assignment in classes on American political development and American history. Hard as this might be to believe, Professor Einhorn has written an exceptional page turner on colonial and antebellum tax practices (I should confess, however, that as the son of an accountant, my notion of a page turner may be idiosyncratic). More important, the book more than delivers on two major themes. First, Professor Einhorn demonstrates that we cannot understand American tax policy without looking at American slavery. What taxes government had and could collect depended heavily on whether there were slaveholders to accommodate. As such, this is a more than welcomed addition to the literature highlighting the ways in which slavery permeated the antebellum polity. As interesting, Professor Einhorn details the influence of slaveholding on local government and the influence of local government on taxation. In places with relatively few slaves, her work notes, local government was robust and capable of sophisticated tax policies. Where slavery existed, local government was weak and incapable of raising revenue through complex tax policies. I should have a review shortly on H-Net elaborating on these strengths and highlighting a few points of discussion, but this is a must read for students of American legal and political development. 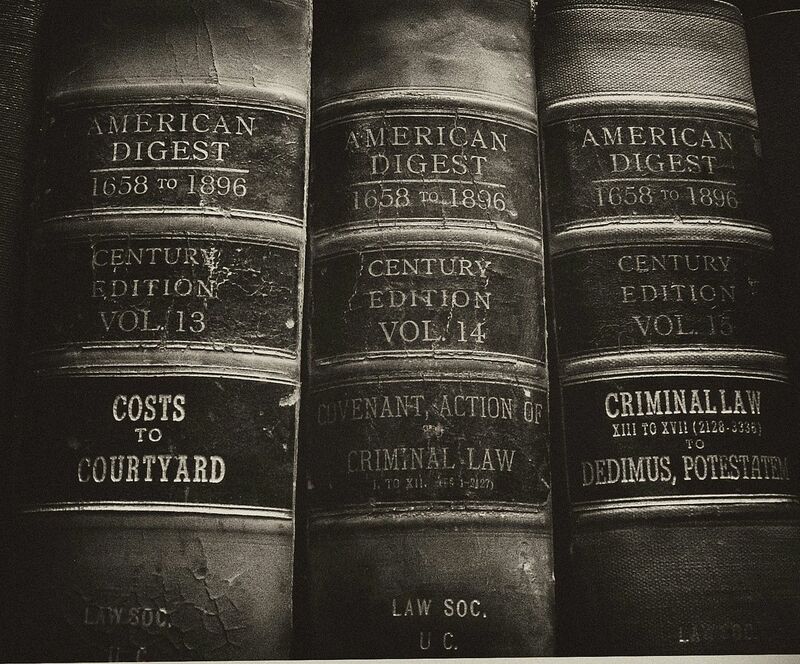 Coming soon -- and planned as a regular feature -- legal historians and fellow travelers will highlight new legal history-related articles and books they've read and recommend. By Birth or Consent: Children, Law, and the Anglo-American Revolution in Authority (UNC Press, 2005), which just picked up the William Nelson Cromwell Foundation prize at the American Society for Legal History conference, after winning the Willard Hurst Prize at the Law and Society Association meeting last summer. Combining a fresh analysis of the writings of well-known political theorists from the seventeenth and eighteenth centuries with rigorous interrogation of court records, legal commentaries, theological texts, and even an occasional work of fiction or art, Holly Brewer advances a provocative argument about the intersections between perceptions of childhood and the evolution of political values in England and America. According to Brewer, by the late eighteenth century, as contractual relations based on mutual consent replaced inherited status as the foundation for civic authority, childhood became a more distinct and monolithic construct. Children were no longer born into a class status, but into a stage of life--one that denied them political and legal power until they achieved adulthood and the ability to reason and consent. As Brewer argues, "childhood itself was redefined as a consequence of the shift in political legitimacy during the seventeenth and eighteenth centuries" (p. 8). The Supreme Court refused on Monday to hear a case filed by a law professor at DePaul University who wants the FBI to get rid of its file on him. The professor, Mahmoud Cherif Bassiouni, had sued the Federal Bureau of Investigation, arguing that the agency should expunge its records on him, in part because they describe actions that are protected by the First Amendment. The federal Privacy Act of 1974 prohibits agencies from keeping records describing such actions, with some exceptions. to obtain FBI records, researchers usually need to file a Freedom of Information Act request. (Prof. Bassiouni's files are protected from disclosure by the Privacy Act.) But some files of interest to legal historians are available on the FBI website, including files for Clarence Darrow, Thurgood Marshall, and the Sacco and Vanzetti case. American Historical Assoc. Annual meeting coming up! Registration is open until Dec. 23 for the upcoming Association of American Historians annual meeting, but hotel rooms are filling up fast. The meeting is January 4-7 in Atlanta. Linda Kerber is presiding as President, and (last I heard...) her presidential address will touch on a legal history topic. For more on the meeting, go here. In Of War and Law, David Kennedy examines this important development, retelling the history of modern war and statecraft as a tale of the changing role of law and the dramatic growth of law's power. Not only a restraint and an ethical yardstick, law can also be a weapon--a strategic partner, a force multiplier, and an excuse for terrifying violence....He argues that law has beaten ploughshares into swords while encouraging the bureaucratization of strategy and leadership. A culture of rules has eroded the experience of personal decision-making and responsibility among soldiers and statesmen alike. For more, go to Princeton University Press. To see a Kennedy book talk, go here. I have a new paper about a forgotten case, that argues that sometimes the resolution of cases is especially about restoring breaches in American identity. To accomplish that, to restore the nation, what happens to the person at the heart of the case is forgotten. For more, go here. The deadline for proposals for the American Studies Association Annual Meeting is January 27, 2008. The meeting is Oct. 11-14, in Philadelphia, and the theme is "America Aqui: Transhemispheric Visions and Community Connection." For details, go here. The American Society for Legal History named Harvard Law Professor Morton Horwitz an Honorary Fellow at its annual meeting in Baltimore this month. Only 11 other living historians have received that honor. For more, go here. And for a wonderful NPR profile of Morty, with an audio link, go here. What looks like the best site for legal history on the web is a new website hosted by the Triangle Legal History Seminar (Triangle = Raleigh, Durham & Chapel Hill, NC). We have Edward Balleisen, Assoc. Prof. of History at Duke to thank for this new resource. Go here. The brief constitutionalization of prohibition, in other words, forced Justices on both the right and the left to stop debating whether there should be an American administrative state, and required them instead to reconstruct their judicial philosophy on the assumption that the administrative state was an unalterable reality. It provoked a brief efflorescence of judicial perspectives that would not come into full flower until late in the twentieth century. Prohibition also forced a rethinking of the appropriate limits of national power, as well as fundamental developments in the meaning of Fourth Amendment limitations on law enforcement.